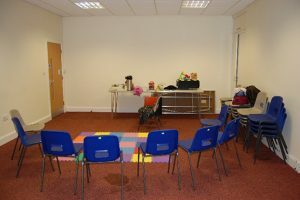 The center is easily accessed by public transport from both Sutton and Kingston. 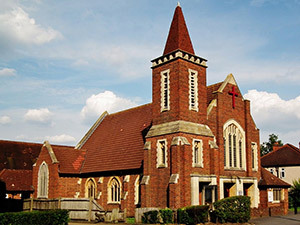 To discuss your requirements or to book a hall or room please contact the Center Manager, David Pickett, by emailing xcsp_halls@btconnect.com or telephoning 020 8330 7630. 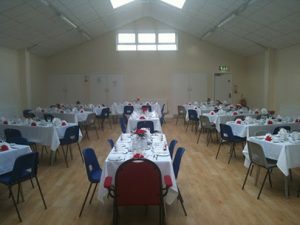 We have two halls for hire: Wesley Hall which includes a stage and St. Philip Hall which adjoins the kitchen via a serving hatch. 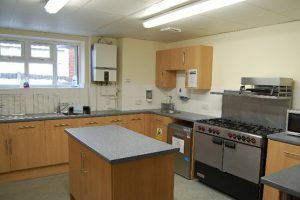 Both have full disabled access. 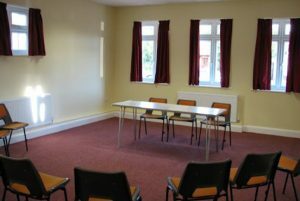 Click on one of the images below for more photographs and more detailed information about that hall. 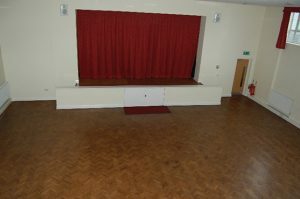 This is our largest hall at 11.9m x 10m (excluding the stage area of 7.6m x 4.2m) and can accommodate around 140 people. 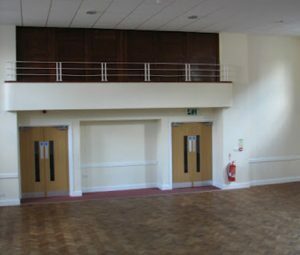 Wesley Hall has an integral sound system, stage, and lighting balcony suitable for drama performances. 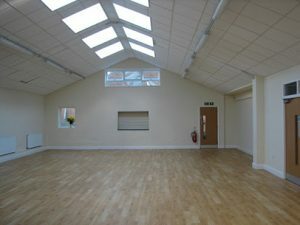 This large hall is 15.2m x 9.2m and can accommodate around 120 people. 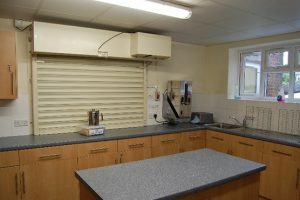 It is suitable for a range of different groups and activities but is particularly popular for parties as it adjoins the kitchen via a serving hatch. 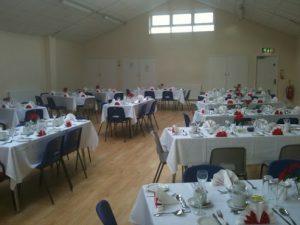 Below are pictures of the hall, including images of it set up for a function, together with images of the adjoining kitchen. 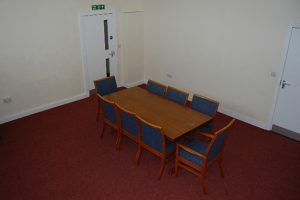 This carpeted room is approximately 6m x 5m and can accommodate around 25 people making it ideally suited for small groups and meetings. It is wheelchair accessible and on the hearing loop system. 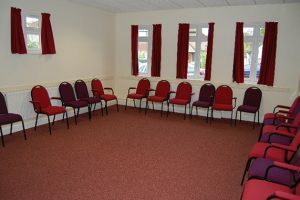 This carpeted room is approximately 7m x 4.8m and can accommodate around 30 people making it ideal suited for small groups and meetings. It is wheelchair accessible and on the hearing loop system. 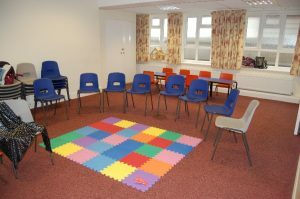 Room 2 also has adjoining children’s toilets accessible only from this room. 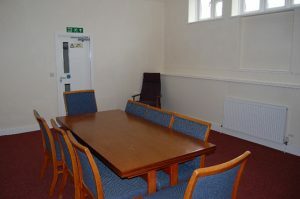 This first-floor carpeted room has a capacity of approximately 20 people and is an ideal meeting room.